Sears' North Shepherd location. The embattled retailer has hired a bankruptcy adviser and has been in marathon negotiations with its lenders as it faced a $134 million debt payment Monday. Sears, an icon of American retail for more than a century, filed for for bankruptcy protection early Monday morning, paving the way for redevelopment at prospering malls across Houston while leaving weaker malls wondering how to fill the vacant space. The embattled retailer, once the world's largest, filed Chapter 11 bankruptcy as it faced a $134 million debt payment Monday. The Hoffman, Ill.-based company, which has $5.5 billion of debt, plans to shutter 142 stores through bankruptcy proceedings, but will keep its remaining stores open. "Over the last several years, we have worked hard to transform our business and unlock the value of our assets," Eddie Lampert, CEO Chairman of Sears Holdings, said in a statement. "While we have made progress, the plan has yet to deliver the results we have desired, and addressing the Company's immediate liquidity needs has impacted our efforts to become a profitable and more competitive retailer. The Chapter 11 process will give Holdings the flexibility to strengthen its balance sheet, enabling the Company to accelerate its strategic transformation, continue right sizing its operating model, and return to profitability." Sears represents the latest and perhaps the most storied brick-and-mortar retailer to fall victim to the rise of big-box and e-commerce competitors. The 125-year-old department store, which survived the Great Depression and two World Wars, joins Toys "R" Us, Gymboree, Payless ShoeSource and rue21 in declaring bankruptcy in recent years. Houston-based Mattress firm, the nation's largest mattress retailer, filed for Chapter 11 bankruptcy earlier this month. Sears' long-rumored bankruptcy filing did not surprise retail analysts. Sears has failed to turn a profit for seven straight years, and has lost more than $24 billion in market value since 2007. Its stock ended Friday at 41 cents, down from its April 2007 peak of $145.67. "It's sad to see Sears go," said Ed Wulfe, CEO and founder of Houston-based commercial real estate firm Wulfe & Co. "But times have changed, and they didn't change with the times." Sears received $300 million in debtor-in-possession financing, which would help keep the retailer operating through the bankruptcy proceedings, according to media reports. To stay afloat, Sears sold most of its top real estate, shuttering nearly 400 stores over the past year alone. Locally, Sears has closed stores at Baybrook Mall, Greenspoint Mall, Memorial City Mall, its longtime location in Midtown, San Jacinto Mall, The Woodlands Mall, West Oaks Mall and Westwood Mall. Seven Sears stores remain in the Houston area: Willowbrook Mall, North Shepherd, Deerbrook Mall, Plaza Paseo Mall in Pasadena, Mall of the Mainland in Texas City, Parkdale Mall in Beaumont and Central Mall in Port Arthur. Nationally, the company operates some 700 Sears and Kmart stores, down from its peak of more than 3,800 locations. The company employs 89,000 workers. Matt Kopsky, a real estate investment trust analyst with financial advisory firm Edward Jones, said he was surprised Sears has held on for so long before filing for Chapter 11 bankruptcy, which allows companies to restructure operations and finances while protecting them from creditors. However, Kopsky said he doesn't think Sears can emerge from bankruptcy without its creditors clamoring to liquidate all its assets. "With the declines we've seen and the company becoming less and less relevant, I wouldn't be surprised to see a Chapter 7 liquidation," Kopsky said. "Even if Sears can restructure its debt, I have a hard time seeing the company turning profitable over the next three to five years." Sears, Roebuck & Co., founded shortly after the Civil War and incorporated in 1893, was once the nation's largest retailer whose mail-order roots made it the forerunner to Amazon. Similar to its Seattle-based counterpart, the Chicagoland retailer sold everything from dresses and household goods to tools and appliances -- and even kit homes and tombstones. In its heyday during the 1960s and 1970s, Sears built and moved into its eponymous tower in downtown Chicago, the tallest skyscraper in the world from 1973 to 1998. Over the past three decades however, Sears struggled to keep pace with changing consumer preferences and the evolving retail landscape, starting with the rise of big-box retailers Walmart and Target in the 1990s and more recently, the growing popularity of online shopping. These shifts already have claimed many of Sears' competitors in Houston. Sakowitz fell in the 1990s, followed by Montgomery Ward in the early 2000s and later Foley's, whose stores were turned into Macy's in 2005. Other department stores, including Macy's, JC Penney and Dillards, have cut its store footprint to survive the so-called retail apocalypse. Sears, under the leadership of CEO and primary shareholder Eddie Lampert, sold much of the company's valuable assets to stay in business. Three years ago, Lampert and other investors formed a real estate investment trust called Seritage, which paid $2.7 billion for 235 Sears stores that were leased back to Sears. Last year, the company sold its Craftsman tool brand to Stanley Black & Decker for roughly $900 million, and Lampert personally offered to purchase its Kenmore appliance brand for $400 million. Although Lampert also sunk his own money into the company, he failed to find a way to revive the retailer in the eyes of its consumers, who were increasingly shopping online and in big-box stores. The billionaire investor, through his hedge fund ESL Investments, gained control of Kmart in 2003 and two years later, merged with Sears in an $11 billion gamble that he said would revitalize both the department store and discount retailer. As Sears near bankruptcy, that acquisition may now be his worst investment. "Sears has been marginal for years as they struggled to compete with Walmart, Target and retailers like Kohl's," Wulfe said. "They just stood still. It's was a failure to adapt." A potential Sears liquidation would leave a big hole in the Houston real estate market: at least 894,000 square feet, according to Wulfe & Co. For comparison, the Toy "R" Us bankruptcy last year claimed 18 local stores totaling 673,000 square feet. Nationally, Sears owns about 120 million square feet of real estate, or about 1.6 percent of the the country's retail square footage, Kopsky said. Widespread Sears closures would exacerbate the growing divide between the nation's highest and lowest performing malls, analysts said. Higher-performing malls would likely welcome the opportunity to redevelop former Sears stores while lower-performing malls would struggle to find a new anchor tenant to replace the department store. Owners of newer malls, such as Willowbrook and Deerbrook, could purchase the Sears space and redevelop it into restaurants, bars, movie theaters and other entertainment venues to drive foot traffic to their property. 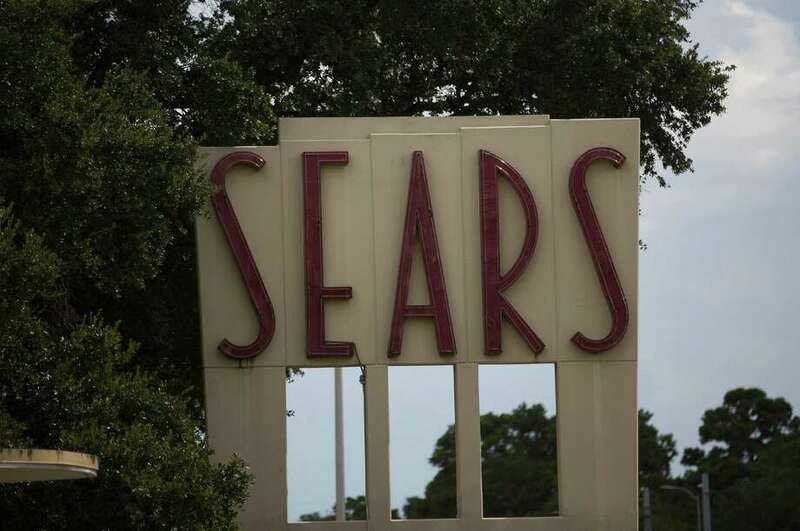 The Sears on North Shepherd, located in the Garden Oaks neighborhood, could be bought by an outside investor for a redevelopment project, such as a community college or medical offices, analysts said. Mall owners were typically getting $4 to $5 per square foot in rent out of Sears. Replacing the department store with a high-traffic amenity could command rents of $18 or higher per square foot, Kopsky said. "Sears' impact on mall sales is so small, anything that can accelerate the disposition of their real estate and get it activated and fully engaged is good for the market," said Lance Gilliam, a partner with Houston-based commercial real estate firm Waterman Steele. However, Sears closures in less-trafficked malls, such as Paseo Plaza Mall where Sears is the only anchor store remaining, will likely deal a lasting blow to the property. Smaller shopping centers will likely have a difficult time replacing the Sears with alternative tenants, because of the store's sheer size and renovation work necessary to convert it, analysts said. "For these mall owners, it would certainly be more negative than positive if Sears were to close overnight," said Jason Baker, co-founder of Houston-based retail estate brokerage Baker Katz. "Despite the market share that they've lost, it's still better to have a Sears open with lights, security and what little traffic they generate than an empty box." All mall owners will face challenges in acquiring Sears' real estate out of complicated bankruptcy proceedings, and will need significant capital to reimagine the two- and three-story Sears stores. Many owners will have to get creative, Baker said. In Houston, former Sears locations have become a Nordstrom store in the case of The Woodlands Mall, a future start-up hub in the case of the Midtown store and even a car dealership in the case of Westwood Mall. Closed Sears stores, especially those in weaker malls, may sit vacant for some time, Baker said. "In general, retailers are getting smaller, not bigger," Baker said. "Not many retailers are expanding right now." Longtime Houstonians have fond memories shopping at Sears, even if many of them haven't stepped foot in the department store in years. Nancy Reese, 74, remembers as a 5-year-old riding the escalators with her father and staring at the Christmas displays in the windows of the Midtown Sears. As a young adult, Reese recalls meeting her husband Doug for dinner at Memorial City Mall where he was an inventory and personnel manager at Sears for several years. The then-newlywed couple furnished their Bellaire apartment and then their Briarcroft home with record albums, mattresses and bedding from the department store using Doug's employee discounts. To this day, they still use a Corningware percolator that they purchased 40-some years ago from Sears. Over the years however, the Tanglewood couple eschewed shopping at Sears in favor of other retailers, such as JC Penney. Today, their two adult children, now in their 40s, mostly shop online. Nowadays, the family hardly ever shops at Sears, the Reeses said. "I haven't looked for clothes at Sears in years," Nancy Reese said. "It's sad because it was a big part of our lives early on in our marriage." The Reeses still have Sears' 1968 "Wish Book" catalog to commemorate the year they got married. One day, they plan to show their three grandchildren the Sears catalog, telling them stories of the once-mighty department store. "Things change after so many years," Doug Reese, 77, said. "It's just sad that a big company that had done so well can't continue their success." Katherine Blunt contributed to this story. 1886: Sears Watch Co. is founded by Richard Sears. 1888: Sears starts printing mail order catalogs. 1893: Richard Sears and Alvah Roebuck incorporate Sears, Roebuck & Co. in Chicago as a mail-order company. 1906: Sears starts selling stock. It's the first major retailer in the U.S. to have an initial public offering. 1913: Sears launches the Kenmore appliance line, starting with a sewing machine. 1927: Sears launches it Craftsman tool line. 1945: Sears hits $1 billion in sales. 1953: Sears enters the Canadian market. 1973: Sears builds and consolidates its Chicagoland offices into Sears Tower, at the time the tallest skyscraper in the world. 1981: Sears enters the financial services industry through the acquisition of Coldwell, Banker & Co. and others. 1985: Sears introduces the Discover credit card. 1990: Walmart eclipses Sears as the largest retailer in the U.S. by revenue. 1992: Sears relocates its headquarters to Hoffman Estates, Ill.
1993: Sears stops publishing its general merchandise catalog. 1994: Sears sells its eponymous downtown Chicago tower. 1995: CEO Arthur Martinez takes the helm of Sears, focusing on female consumers and apparel sales. 2000: CEO Alan Lacy leads Sears through the dot-com bust and its merger with Kmart. 2002: Sears acquires Land's End, and opens small apparel shops within its stores. 2003: Sears sells its credit portfolio to Citibank for $3 billion. Billionaire hedge fund manager Eddie Lampert, the future CEO of Sears, acquires Kmart. 2005: Kmart acquires Sears in an $11 billion deal. The combined company is called Sears Holdings and Lampert becomes chairman. 2007: Sears Holding stock hits a record high of $145.67. 2013: Eddie Lampert becomes CEO of Sears. 2014: Sears spins off Land's End. 2015: Sears spins off 235 stores into a real estate investment trust called Seritage Growth Properties. 2017: Sears issues a "going concern" warning, calling the retailer's future into question. Sears sells its Craftsman tool line to Stanley Black & Decker for $900 million. Sears Canada files for bankruptcy protection. 2018: Lampert's hedge fund ESL investments offers to purchase Kenmore appliance and home improvement lines for $400 million. Sears files for Chapter 11 bankruptcy.